Ive been using Ginger-B6 for around two years now. It was recommended to me by my natropathic doctor for nausea. It works quite well. 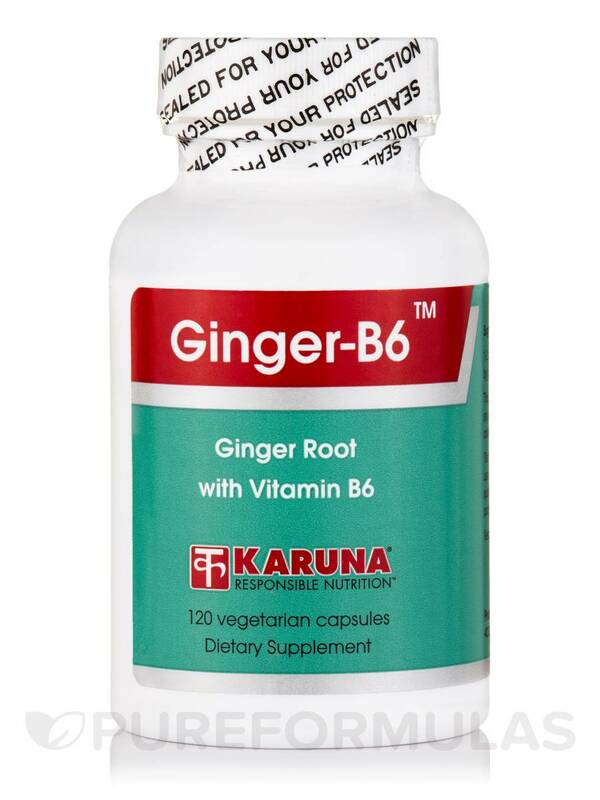 If you’re looking for a supplement that may promote healthy gastrointestinal function‚ consider trying Karuna Health’s Ginger-B6™. 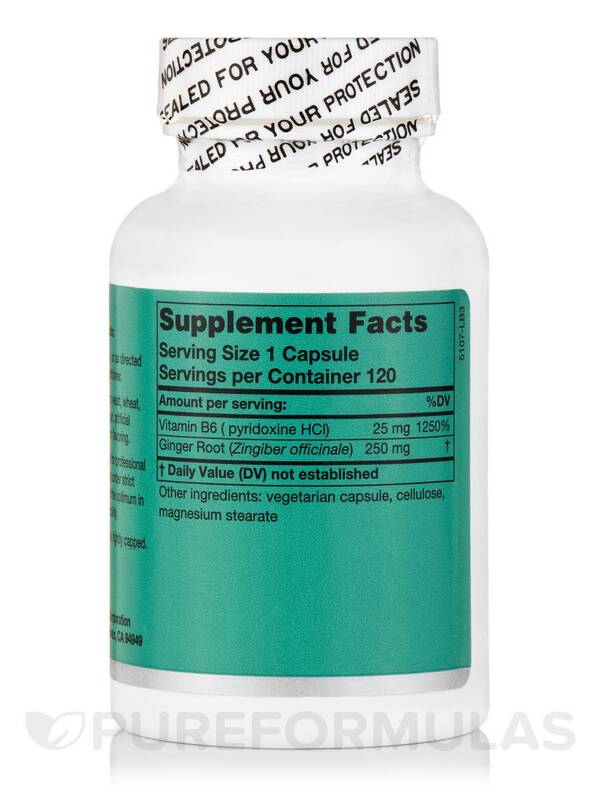 First‚ each capsule of Ginger-B6™ provides 250 milligrams of ginger root. Ginger (zingiber officinale) is an herb that may help address certain symptoms associated with digestive discomfort‚ such as mild indigestion‚ diarrhea‚ or constipation. Notably‚ ginger extract contains active compounds called gingerols that might relieve mild nausea or vomiting. In addition‚ ginger may work to stimulate the secretion of digestive enzymes that are responsible for breaking down the food you eat. 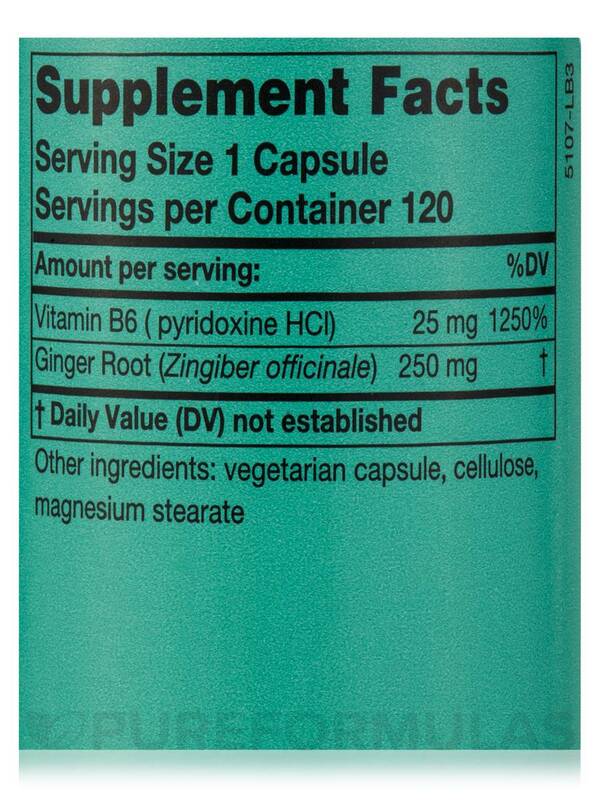 Ginger-B6™ also contains vitamin B6. Notably‚ B6—which is also known as pyridoxine—could potentially work to alleviate some signs of morning sickness. This vitamin may also play a key role in protein digestion. Take one or two capsules twice a day. 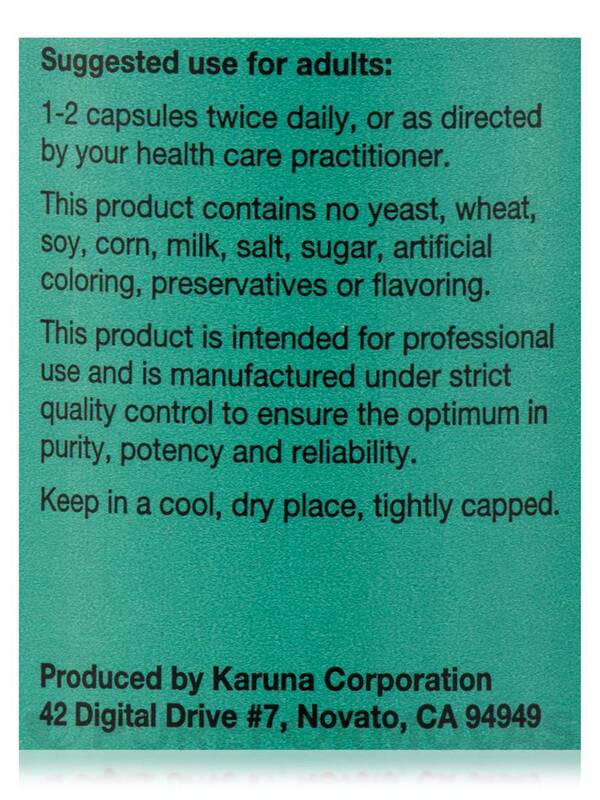 At the standard serving size‚ every 120-capsule bottle of Ginger-B6™ by Karuna Health should last for about one or two months. 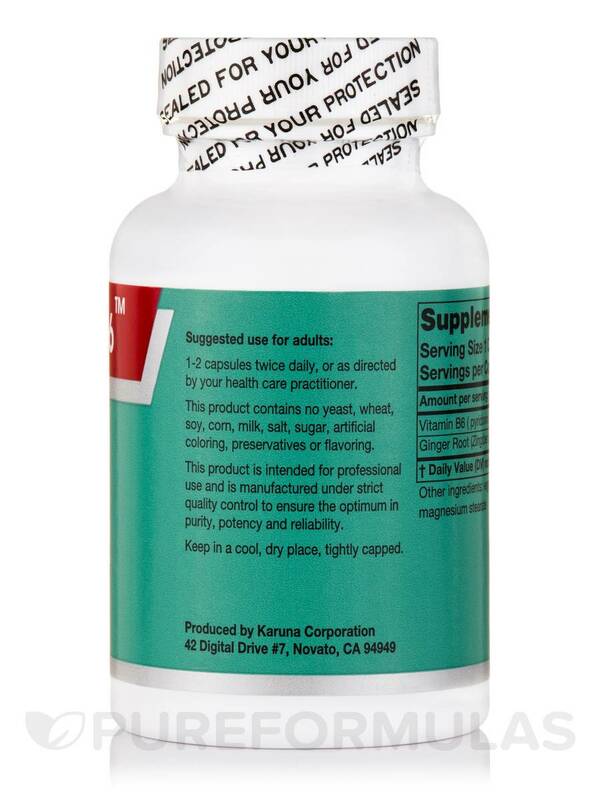 Vegetarian capsule‚ cellulose‚ magnesium stearate. 1 - 2 capsules twice daily‚ or as directed‚ for nausea. Ginger-B6 by Karuna Health is great for inflammation.